One of the key parts of running a charity is hosting fundraising events. Running such events is absolutely integral to the continued success of a charity and will naturally demand a lot of energy and dedication from organisers, ensuring it raises as much as possible for the cause in question. As such events often take a long time to organise and can require a lot of investment, it is best to organise some form of protection against unforeseen circumstances that could ruin the event – whether it be a low-key affair or a large-scale operation. This form of insurance protects a charity against any injury caused to a member of the public or damage done to third-party property because of negligence on the organisation’s part. Some examples of this include a member of the public tripping over an obstacle at an event or some form of damage caused to a public space used for a charity event. Most charities will of course make every effort to ensure all risks are minimised before an event, but taking out such insurance will help to protect even the most organised charity against any unpredictable or unavoidable problems. Although organising such insurance might seem like a hassle – particularly for smaller charities – it can save organisations a significant amount of money should somebody make a claim. If there is no insurance in place, the total can rack up to thousands of pounds worth of compensation and legal fees. With no public liability insurance in place, these costs will have to come out of a charity’s own finances. As stated, along with protecting a charity against injuries incurred by members of the public at one of its events, public liability insurance also covers damage made to third-party property. A number of charity fundraising events will be held in public spaces such as village halls, community centres or rented properties. It is very easy to accidentally damage the floors or walls when setting up and running an event, with some damage costing a surprising amount to repair. In some cases, a charity might need to deduct some money from what they have raised at an event in order to pay for the repairs; but public liability insurance will mean this doesn’t have to happen. This insurance is a legal requirement if a charity has contracted employees and can sometimes – depending on the policy in place – also cover any volunteers for the organisation. Public liability does not normally cover volunteers, so investment in a suitable policy is very important. On top of insurance, adequate training should be given to all members of staff to minimise risks. As well as protecting a charity against outside claims, providing cover for an organisation’s equipment and assets is also recommended. Electrical equipment, for example, can cost thousands of pounds to replace, but business equipment cover can protect a charity against paying out for expensive repairs or replacements. 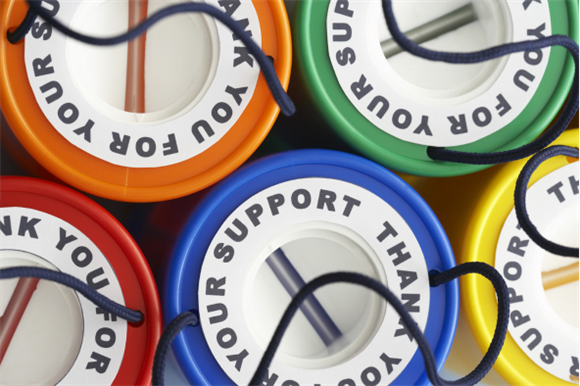 For a further information on charity insurance, please read our guide What insurance does a charity need?